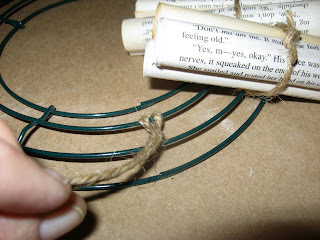 Book Page Wreath Tutorial for White Wednesday! Well Hello My Dear Friends! 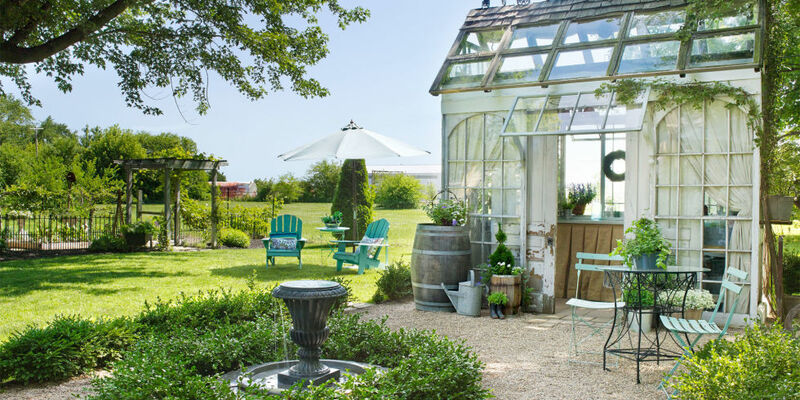 Yes...It is Wednesday and when I can...It is usually a post about all things White and Wonderful. 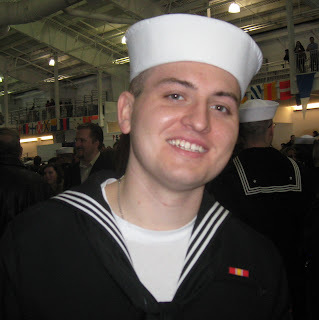 And attending my youngest son's graduation from PIR(Navy boot camp graduation) in Chicago. Just doing the whole day to day thing! It's not hard...just plan on setting aside some time. 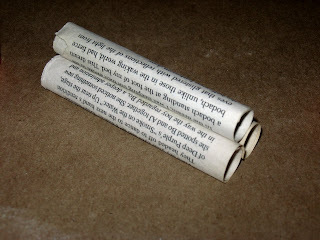 And lots of book pages! I lay out some brown butchers paper. if I need to get the project off the table in a hurry...I can. they also weather much faster...I like them to have that old look. one made from another page. I know you remember this...It is the one that hangs on my front door! I start making the little bundles that are tied onto the wire frame. 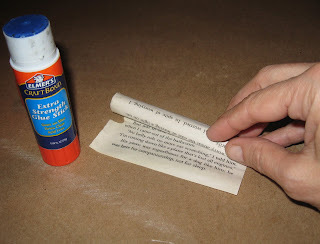 At this point...I sometimes use a hot glue gun to glue to three rolls together. Now we begin the actual construction process. 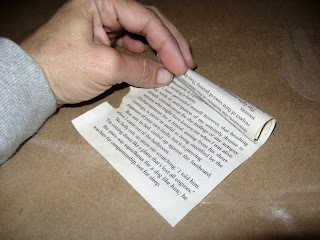 then place the book page bundle on top and tie it with a small knot. Keep doing this all the way around the wire frame. This is what the back of the wreath should look like. I used the smallest frame for this wreath.. It is about 12inches in diameter when finished. I usually use the large and medium frames. 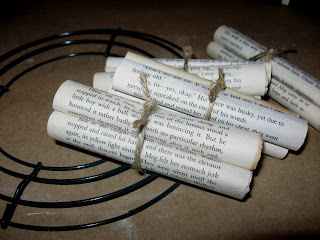 I made small flowers from additional book pages to decorate it with! or on bedroom doors. Almost anywhere! Here is a picture I took of one of my bookcases. She always has the most amazing posts! I have finally gotten around to getting the upstairs of my home photographed and I can't wait to show you! A give-away! More details later! 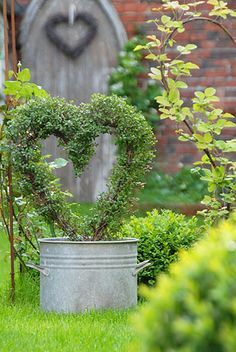 Have a blessed Wednesday Evening Dear Friends! Hey Donna! Love, love, love it. but looks like a lot of work! It's especially darling with those little flowers added on!! Hey, your boy is a handsome young man, I know you're a proud mama! 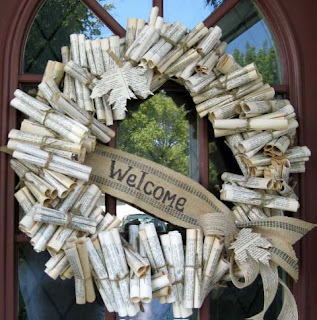 Hi Donna, It was so nice of you to share on how to make this wreath :) I hope you are almost done with your store decorating and ordering for the spring. I love the picture of your son it reminds me of my Papa when he was a young man in the navy :) iIhope you have a great rest of the week. Thanks so much for the tutorial! You are such a creative lady and so gracious about sharing your awesome talent with all of us. Thank You! I love books so this is something I would be drawn to. It looks beautiful! This tutorial is so generous and lovely... I love how it turned out~you are amazing. 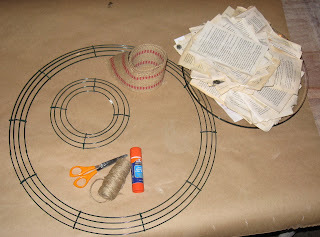 1. donna, thank you X 10 for sharing this tutorial about the FAB wreath! 2. "yay" for your son's graduation!! 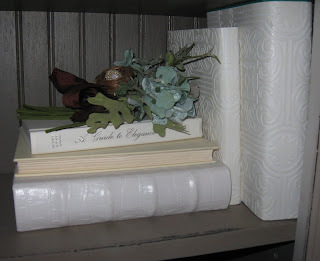 3. those white books...did someone spray paint them that FAB white color??? adore it! I LOVE the wreath Donna! Thank you so much for the tutorial. I would love to make one of these. I am such a procrastinator though, so I know it will take me forever. lol I guess all I have is time. I loved the picture of your handsome boy. Congratulations on his graduation. 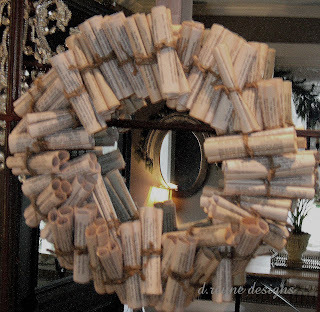 I have always loved your book page wreath! Thanks for showing us how to do it! Hope things are well...can't wait to see all that you have planned to show us! Your room turned out lovely! The quilt is just beautiful. love your wreath it looks just perfect! 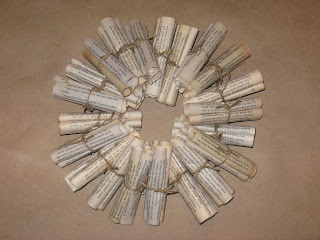 My friend makes these book page wreaths yours is wonderful...I think I will make one too!! for spring.